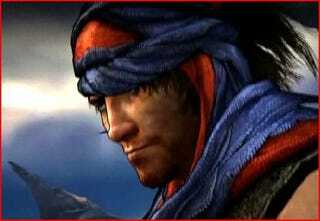 Prince of Persia will ship on Dec. 2 for the PC, Playstation 3 and Xbox 360 along with Prince of Persia: The Fallen King for the DS, Ubisoft announced today. The still-ubiquitously-named Prince of Persia features a new art style, combat system, open world gameplay, and spunky AI sidekick Elika, all built on the Assassin's Creed engine. Full release and more marketable game descriptions on the jump.UBISOFT ANNOUNCES RELEASE DATE FOR PRINCE OF PERSIA The Prince will Reign December 2, 2008 SAN FRANCISCO, CA – September 18 2008 – Today Ubisoft announced that Prince of Persia will ship December 2, 2008 for the Xbox 360(TM) video game and entertainment system from Microsoft, the PLAYSTATION®3 computer entertainment system, and PC. Prince of Persia: The Fallen King will also ship simultaneously and exclusively for the Nintendo DS(TM) system. Prince of Persia opens an entirely new chapter in the Prince of Persia universe in addition to introducing a fresh Illustrative art style, evolved combat system, open world structure and dynamic AI – most notably in the form of the Prince's powerful ally Elika. About Prince of Persia Set in a land rooted in ancient Persian mythology, the Prince finds himself caught in an epic battle between the primal forces of light and darkness: the God of Light, Ormazd versus his brother Ahriman, the destructive God of Darkness. The Prince arrives just in time to witness the destruction of the legendary Tree of Life – an act which threatens to plunge the entire world into eternal darkness. Manifested in the form of the Corruption, a dark substance that physically contaminates the land and the skies, the Prince must partner with Elika, a deadly companion, to heal the world from the evil Corruption. About Prince of Persia: The Fallen King Facing imminent danger, the Prince flees to a deserted kingdom that seemingly offers sanctuary. Already touched by the evil Corruption, a dark substance that physically contaminates the land and the skies, the kingdom is filled with adventure, challenge and intrigue. As the Prince seeks a way to fight the spreading Corruption destroying the land, he encounters a partially infected creature that promises salvation. But is the creature truly an ally or merely an enemy in disguise? It seems this perilous alliance may be the only way for the Prince to face the forces of darkness and save the Persian kingdom from the Corruption once and for all.